Join us Wednesday at Cervantes Other Side in Denver for MusicMarauders Presents: Luke The Knife feat. 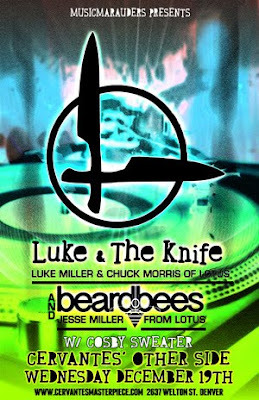 Luke Miller (Lotus) & Chuck Morris (Lotus), as well as Beard of Bees feat. Jesse Miller (Lotus)!